Moneyball is an excellent movie based on the Oakland Athletics magically season in 2002. 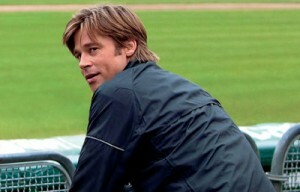 However, the reason the movie was so appealing to most wasn’t Brad Pitt’s dashing good looks, but the unconventional approach his character, Oakland’s General Manager Billy Beane, took to building a team. The Oakland A’s were a small market team, and after a successful 2001 season, the A’s lost their top three players to free agency due to their lack of funding. After an offseason meeting with the Cleveland Indians, Beane hired Peter Brand, a Yale grad with a wild approach to the game, to help him assemble a team that broke the mold. 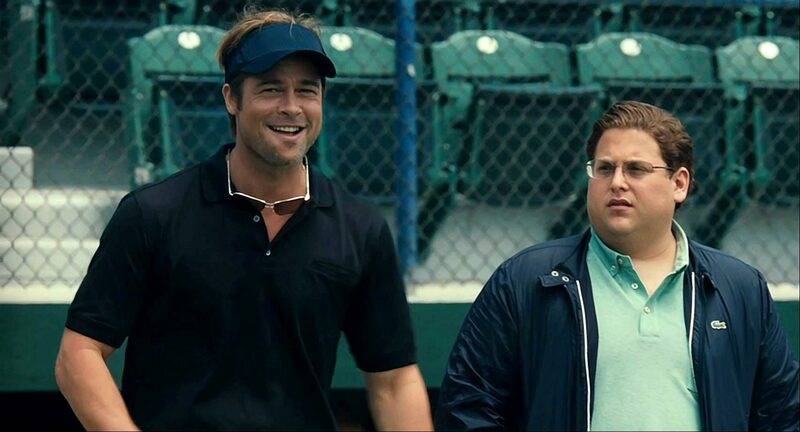 I loved this movie, not only because I’m a baseball fan, but I also really like math enjoyed their view on how to build a team on a budget. 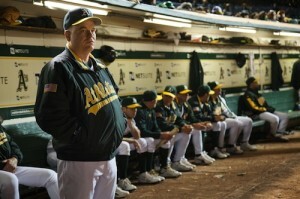 The main reason the A’s went on the unforgettable run that they did, was because everyone bought into the plan and was able to execute to the best of their ability. The movie and the Oakland A’s draw a lot of parallels to what many of us struggle with in SEO and content marketing: money, resources, and an overall plan of attack. Most of us are doing what we think is right and cant understand why we aren’t moving up the SERPs and generating more business (this is the same question the Pittsburgh Pirates and Kansas City Royals have been asking for years). What Beane did was look for another way to win, turning to Brand and sabermetrics (an analysis created by Bill James, that deeply analyzes in-games stats) to build their game — Theo Epstein also was a GM that bought in to this new way of thinking and was one of the main reasons the Boston Red Sox ended their long drought and won two World Series Championships while he was there. I think this is the perfect example of why few succeed and so many others continue to struggle. We can educate ourselves by keeping up on current events in the industry and spend hours reading blog posts from influencers, but copying others or having the mindset “I dont have the time, money or resources to do that” is never going to get you anywhere special. Its the out-of-the-box thinking that lead the A’s to the longest win streak in MLB history and others like the Dollar Shave Club to become household names. They had a plan and they executed it…to perfection! So how can you do that? I dont know, and why would I tell you? Those ideas come across once in a blue moon, I’m keeping those to myself. But, I can point you in the right direction by setting up a great content marketing team. How can you build a Successful Content Marketing team? I believe the best work comes from a team environment. The ability to brainstorm, bounce ideas off of each other and have people with a diverse set of skills in priceless –and one of the things I struggle with personally). However, if your like me and you’re a one-man team or don’t have the budget to hire new employees there are ways to work around this (that we will discuss a little later on). Here are the positions I feel are the most important. Depending on who you have at your exposure, positions may need to be combined, but these roles are essential for success. The Chief Content Officer will set up and run meetings, spark discussion, delegate and follow up. Seems simple enough, but like Pitt in the movie, it’s stressful because if the team doesn’t succeed, its never the players fault, its yours and yours alone. With smaller teams, the Chief Content Officer and Managing Editor may need to be combined as they both really oversee others to make sure they are on task and also make sure they are ready for publication. The Social Media/Promotion Manager is the most important position in my opinion. Without them, it doesn’t matter how life changing the content is that you create, without getting the content to the right audience its useless. This is the reason why the manager of a team is so important. Beane could have put together a roster of all stars **Lakers**, but without a manager to find the right lineup and make everyone work together on the field, the team would have never succeeded. These are the players that produce on the field. The content creators do the grunt work. They are your writers who take your ideas and turn them into words on the screen, turn the research and data into white paper reports and write the clever descriptions for the product and category pages. The bench always plays a key role in every season. They give starters a needed day off to keep them fresh, plugged in when a player gets injured or to take advantage of certain matchups like Scott Hatteberg did when he hit that walk-off homer against the Royals. The bench is the glue and the content producers could be considered the same. They are what make content great. Photographers, designers, developers, even outsourced help or other royal-free outlets. 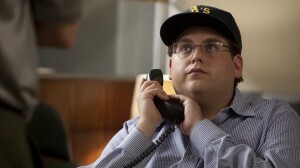 The minor leagues may have not been a big focus in the movie, but a good baseball reference (and a key to the A’s continued success). The players in the minors have be the boost a team needs in September to make that final push to the playoffs. In the world world this can be any number of people. The sales team could provide ideas for new content that customers are looking for, interviews from influential people in the company like the CEO or guest posts. Anyone that is not part of the actual content marketing team should be considered.